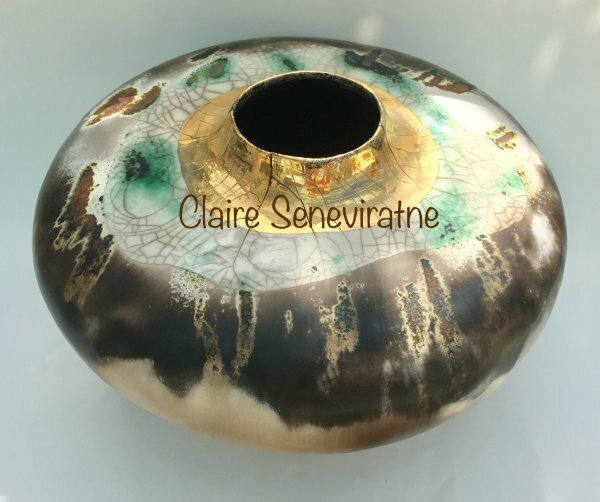 Claire Seneviratne - Ceramic Artist: Large round smoke fired pot with gold lustre. Large round smoke fired pot with gold lustre. This large ceramic pot has been made from porcelain, burnished prior to firing (smoothed with a piece of glass) and then partially glazed and fired in my electric kiln.